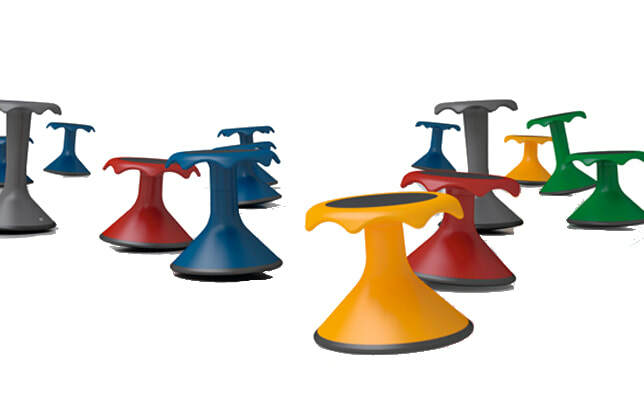 An active stool for both big and small, for use in kindergarten, in school, in play areas and even at home. With a round bottom, it allows controlled free movement which stimulates the entire body in different ways. This kind of activity liberates and increases the sense of well-being. Both the body and mind are activated and an existing urge to move is supported productively. The Hokki Stool is available in 30cm, 38cm, 46cm, 52cm & 62cm heights. See our size guide here. The colour options for the Hokki are listed below.